Collecting Hometown Currency + One Coin From Every Country! Here are the two new collections, starting with the one I’m most excited about. New focus #1: Collecting numismatic items from my hometown: tokens, notes, scrip, anything and everything! Obsolete note from Charleston, SC – not my hometown, but it’s a beautiful note! 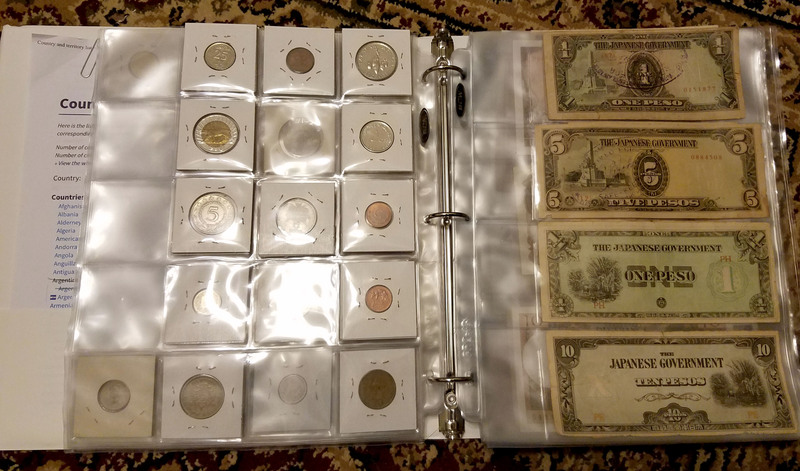 This is by far one of the best ideas I’ve come across, and I owe it all to a presenter that came to one of our coin clubs the other month to share his own journey of collecting notes from his hometown. Mainly National Bank Notes. So far those have been super hard to find for my town, and rare/expensive!, but I have had good luck finding old merchant tokens, cancelled checks, advertisements, and most especially obsolete currency. There’s nothing like holding 150 year old notes in your hand that once circulated throughout your home town – and possibly even your descendants! So to say I’m excited about this niche is an understatement :) My ultimate goal is to collect one example of EVERY single item known to man so far (in the past 4 months I came across two tokens that weren’t even listed anywhere?? ), and then to donate it or lend it (probably lend it – hah) to our city’s museum so others can see and enjoy it too. And maybe I’ll even try and enter some coin show exhibitions along the way? This will probably take me a few decades and (many) thousands to pull off, but hey – all in the name of the hobby, right? I’m not sure how serious I am about this one yet (def. not nearly as much as the hometown one above), BUT, it occurred to me that it may be a fun route to consider as I was sorting through all my own foreign coins scattered all over the place. 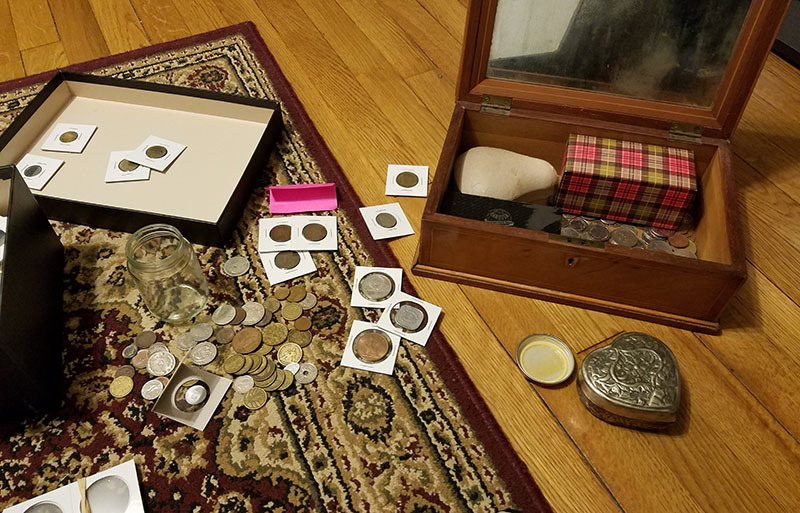 So the other month I spent about 6 hours total – across 3 different days – pouring all my foreign coins into one spot from all the jars, boxes, and baggies, and then I started to sort. And sort, and sort and sort. At any rate, it seems like a pretty popular theme to collect on (when I mentioned it to my coin club half the hands around me went up saying they collect the same! One person even saying he’s on a mission to collect ALL coins from ALL countries (no way that’s possible??? )), so it could be a fun one for you to collect too if interested. I now have each one in 2×2 cardboard holders and finally sorted in the binder too – with plenty of slots in between for new additions over time. 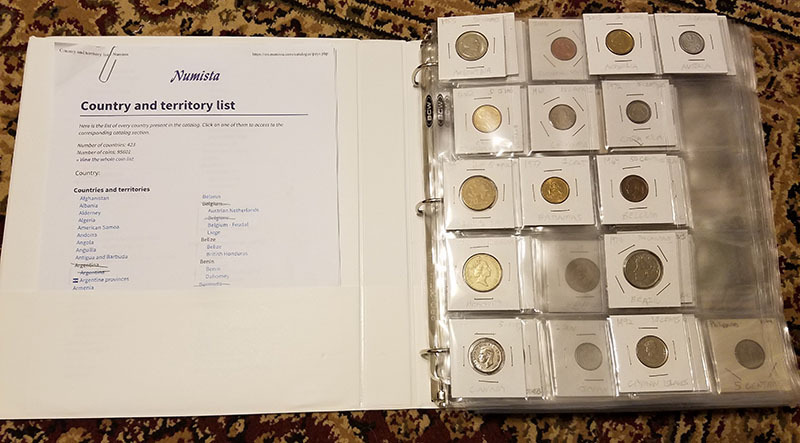 That’s probably the most annoying part of it all – having to re-arrange them all each time a new coin is added, so I had to redo the entire thing after the first hour to allot for this – oops. The other challenging thing is finding out *which* list to use to track all these countries in the world. Some go by modern countries only, modern + older countries since renamed/changed, areas of special sovereignty, those recognized by groups like the United Nations, and on and on. I ended up going with this one from Numista, mainly because it printed out easily and “only” had like 400 countries on the list ;) Good enough for now! A quick google search can point you in the right direction if you’re interested in collecting the same. I believe there’s a couple of groups online that specifically target this as well? Also keeping random world *notes* here too – always fun to look at! How about you? What are you collecting these days? I’m going to try and get back into the swing of this blog again as I really do enjoy sharing thoughts on this stuff… I’ve got tons of pictures and ideas still built up too, so maybe I’ll just word vomit them all here so it actually gets me to DO IT? Found a $20 Bill on the ground! I am working on collection Bullion. Trying to save up to by a Krugerrand. I have a note that you may be interested in. I have Brasilian coins if you are interested too. The note is from Brasil but it is made in America and says it on the note. You should research it. Well that’s cool! I’ve seen some other notes printed in America for other countries, but can’t say I’ve seen a Brazilian one.